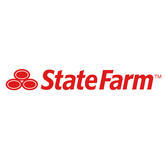 State Farm Mutual Automobile Insurance Company is one among the top ranked private auto insurance company in America. The company is based in Bloomington, Illinois, and was founded in 1992. The company insurance products are general, auto, accidents, homeowners, condo owners, life, health, business and boat products which are marketed through more than 18,000 agents in US and Canada. The fact that among one of the five cars on road is insured with State Farm ranks among Fortune 100. In addition to insurance it also offers banking services through internet and loans via its agents by phone, mails. There are currently 0 consumer reviews about State Farm Mutual Automobile Insurance Company available. Share your review. Please take a note that you are about to post a public review about State Farm Mutual Automobile Insurance Company corporate office on CorporateOffice.com. This review will be public, so please do not post any of your personal information on this website. If you would like to contact the corporate offices of State Farm Mutual Automobile Insurance Company, please use their contact information such as their phone number, website, and address listed above to contact them. However, sometimes staff from State Farm Mutual Automobile Insurance Company headquarters do read the reviews on this website.